Collette Victoria Crisamore is the owner of Crafty Witches. 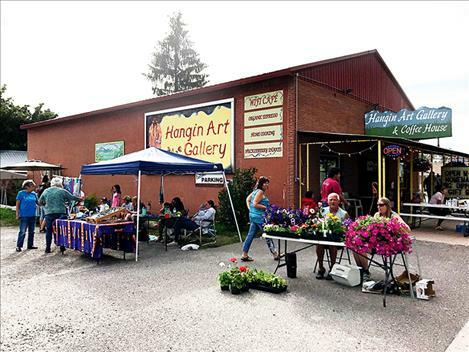 ARLEE – The Arlee Farmers Market season has just begun, and vendors are excited to see how it will progress in the next four months. The market will continue from 4-7 p.m. every Wednesday until Sept. 26. It’s located on U.S. Hwy. 93 in the south parking lot of the Hangin’ Art Gallery. The market hosts booths with homemade art, jewelry, produce, and much more. 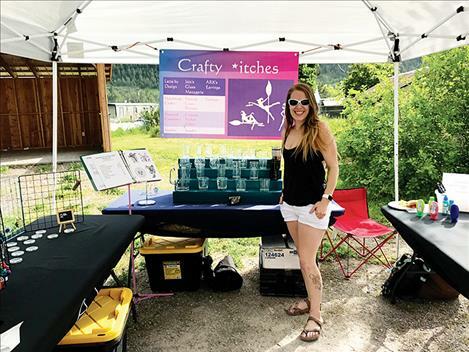 “The past couple of years, people making and selling homemade crafts themselves has become more popular, especially this year with the booth fee being waived. That’s an example of people working together to make the market work,” said Collette Victoria Crisamore who owns the “Crafty Witches” booth. Crisamore and two booth co-owners, Joann Steadman and Rose Kahane, are an example of how products at the market vary. They sell jewelry, glass etchings, painting, lotions, and paracord items all at one booth. 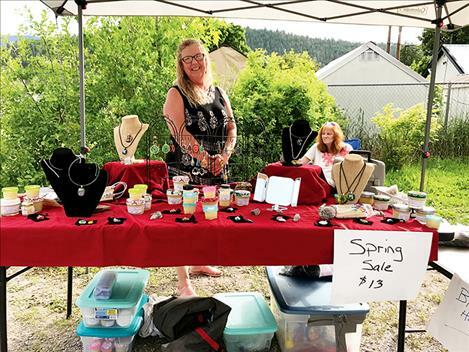 LeaAnn Chafee, a local to Arlee, sells many items including jewelry, teas, and toiletries, but what really catches the eye are the wild mountain perennial plants that she digs up herself. Chafee is an avid market booth owner. “Everything is local,” she said. “I want Arlee’s market to do well, so I’ll always be here.” She added that the Arlee Farmers Market has had more vendors and customers this year.